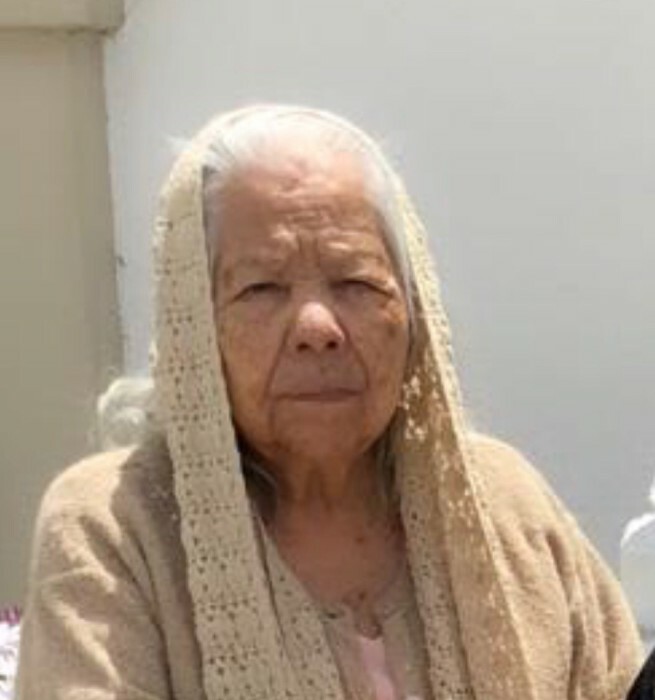 Luz Candelario “Tia Luz” passed away peacefully on March 7, 2019 at Valley Convalescent Hospital. She was 95 years old. She is survived by her sister Guadalupe Rodriguez and numerous nieces, and nephews. Luz was preceded in death by her Father Martin Candelario; Mother Maria Castillo, two brothers, Jesus y Jose Candelario. She was a faithful catholic who prayed daily. She will be remembered as a very strict and old fashioned lady who always made people laugh with her old fashioned frase… “cara de mi zapato.” She was a hard working person and she enjoyed being at home taking care of family and an excellent homemaker. She lived in Watsonville for 33 years, and was a native from Atoyac, Jalisco Mexico. At the age of 62 she came to the United States. Visitation will be held at Mehl’s Colonial Chapel on Monday, March 18, 2019. from 5 to 9pm. with rosary recited at 7pm. Mass will be celebrated at Assumption Church Tuesday, March 19, 2019. at 10am. with burial to follow at Valley Public Cemetery.